Pre-Comp Unrecognized 1 Day Horse Trial on Friday, May 24th!!!! Coaching encouraged!!! Friday, May 4 at 8:00 AM. Coconino County Parks and Recreation will goes into Level 1 Fire Restrictions. Please review the Fire Restrictions Levels. There are several activities that are prohibited while in Level 1, such as smoking outdoors and parking on unimproved surfaces. Fire Restriction Levels - Click here! 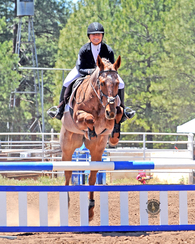 Pre-Comp Unrecognized 1 Day Horse Trial on Friday, May 25th!!!! Coaching encouraged!!! Area X Adult Rider Cocktail Party!!! Friday: Precomp 1 Day HT and Schooling stadium rounds will be available from 9am-2:30pm. Check omnibus for more information. You must sign up at the office on Friday morning be assigned a ride time for your practice rounds. You won't be able to pay at the gate, so you'll want to pay at the office when you sign up on the schedule. You can either pay by cash, check or leave an open check (allows you to add or drop at the jumping arena). Pre-entry required for PreComp 1 Day HT. Shavings are $10 per bag and are purchased via Coconino Horse Trials. Please included in your entry. Pre- orders need to be received prior to Monday, May 18th in order to be delivered prior to your arrival. 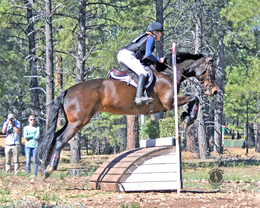 We need your help at the Spring Coconino Horse Trials. We know that this is a busy time for everyone, riders, riders support and parents and siblings, but we need your support to put on the Horse Trials. Our sport is dependent of volunteers, so take a look and see if there is a time when you will be able to lend a hand. We will have a Volunteer Area under the grandstands by the stairway where you can sign up, get more information and find volunteer t-shirts. Or contact Mary Hendricks and let us know what times you are available and what you would like to do. If you can't stay for long, an hour or two relief for another volunteer is welcome. We really appreciate your help!!! !